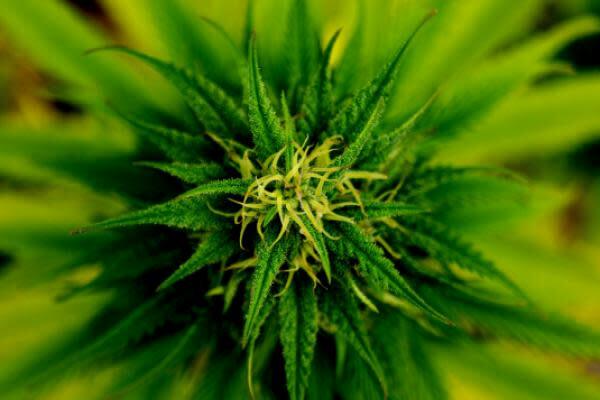 Aphria Inc. (NYSE: APHA)'s shares were falling Monday after the Canadian cannabis company reported fiscal third-quarter results and announced that it agreed to shorten the expiry date of Green Growth Brands Inc (OTC: GGBXF)'s takeover bid. For the fiscal third quarter ended Feb. 28, Aphria reported revenue of CA$73.6 million ($55.26 million), significantly higher than the CA$10.3 million posted in the same period of last year. Revenue growth came on the back of CA$57.6 million of distribution revenue from CC Pharma and ABP. The Ontario-based company said it had sold 1,329 kilogram equivalents of cannabis for the Canadian adult-use market and recorded 1,274 kilograms equivalents in medical cannabis sales. A quarter earlier, the company sold 3,409 kilogram equivalents. The decrease was mainly attributed to supply shortages caused by changes in growing methods, as well as temporary packaging and distribution challenges. Aphria also saw an increase in the cash cost to produce one gram of dried cannabis from CA$1.34 a quarter earlier to CA$1.48, while the all-in cost of goods sold increased from CA$2.60 to CA$3.76 per gram. In this way, Aphria registered a net loss of CA$108.21 million in the third quarter, compared to net income of CA$12.94 million a year earlier. The net loss includes non-cash impairments of CA$58 million and additional non-operating losses of CA$30 million. In a separate announcement, the Canadian cannabis producer said it reached an agreement with Green Growth Brands to shorten the expiry date for acceptance of the latter's formal offer to acquire Aphria from May 9 to April 25. In addition, Green Growth Brands said it will repurchase 27.3 million shares held by GA Opportunities Corp. for CA$89 million, or CA$3.26 per share, which represents a significant discount to the stock's current price. The transaction will be funded through a combination of cash and a secured promissory note payable in six months from the closing. At the end of January, Green Growth Brands made an unsolicited offer to acquire Aphria in an all-stock transaction that would have valued the Canadian cannabis producer at around CA$2.8 billion. Aphria rejected the offer, stating that it undervalued its stock. The acceleration of the expiry date effectively means that Green Growth Brands intends to terminate its offer to acquire Aphria. At the same time, Green Growth Brands' acquisition of its stock from GA Opportunities Corp will allow it to eliminate a 13-percent position, the second largest block of outstanding shares, at a big discount to the market price. Aphria and Green Growth Brands also agreed to a mutual 12-month standstill period and said they would enter into discussions involving a potential commercial arrangement between them. Aphria shares were down 15.16 percent at $8.56 at the time of publication Monday.